Our friends at Starbucks recently came out to spend a beautiful Saturday morning volunteering at BUILD. They helped us with some much needed painting, cleaning the grounds where our kids play and prepping our Iris Garden for the spring. For Starbucks Store Manager Lauretta Williams, it was her fourth time volunteering at BUILD. Lauretta first volunteered at BUILD with Starbucks on Martin Luther King Jr. Day of Service in 2017. She had just moved from Atlanta and was seeking volunteer opportunities that would help her get to know the city. The mission of BUILD and its location provided Lauretta the experience she was looking for. In her first visit to BUILD, Lauretta and others from Starbucks did some painting and had a chance to learn more about the organization. She enjoyed her experience so much that she returned the following spring to volunteer in our Iris Garden. In December 2018, Lauretta came out to volunteer for a third time. This time, she and her Starbucks teammates helped out BUILD staff with an after school program at Leif Ericson Elementary School. They spent time with the kids doing activities like marshmallow tower building, competitive puzzles and card games. Lauretta enjoyed the high energy and enthusiasm of the kids, and said it felt like they were having an after school party. Through BUILD, Lauretta has not only experienced new communities in Chicago – she has helped better them as well. 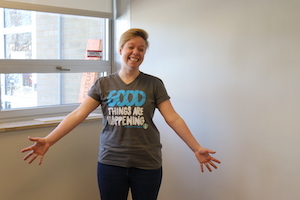 She is happy she has been able to spread awareness of BUILD and its mission to colleagues, and feels it has been beneficial for the Starbucks team as well. We are grateful for the continued support of Lauretta and our friends at Starbucks. 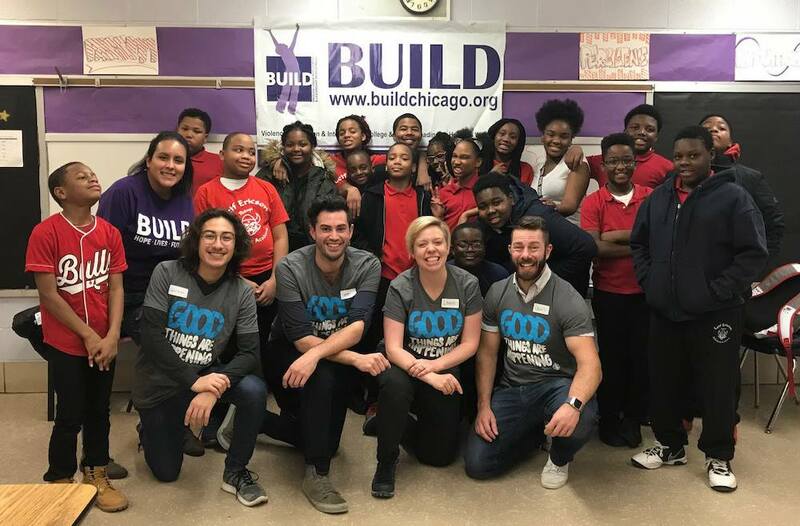 If you would like more information about volunteering at BUILD, please contact Ariana Ibarra at arianaibarra@buildchicago.org. Check out the photos from Starbucks’ recent outing!